Sometimes referred to as the modern Queen of Country Reba McEntire has amassed sales in excess of 80 million albums since she signed her first major contract in 1977 under the guidance of fellow country artist Red Steagall. Once she’d established the practise of taking creative control of her albums McEntire was well on the way to notching up 26 fine studio discs that have spawned 40 number one hit singles and the kind of platinum status that befits an artist who has been at the top across four decades. Reba is also an accomplished actress who has starred in the Broadway revival of Annie Get Your Gun and also fronted and produced her own TV sitcom – Reba. She was inducted into the prestigious Country Music Hall of Fame in 2011 by her idol Dolly Parton. Like all the best artists Reba gives plenty back. She was inspired by Bob Wills, Merle Haggard and Patsy Cline and is in turn an inspiration to contemporary performers like Kelly Clarkson, Faith Hill, Lee Ann Rimes and Trisha Yearwood. Within the greater circle of the country music family McEntire is revered for her innovative videos and her distinctive contralto and vibrato. She is both something of a pioneer and a stayer. Though not her most famous award she is said to have thrilled to receive the Oklahoma Hall of Fame nomination in 1998. A mega star with roots, that’s our Reba. 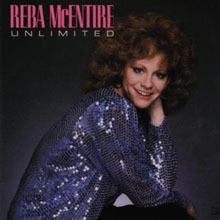 Reba Neil McEntire hails from Oklahoma, her lineage from a fine line of champion steer ropers, so we see immediately she’s from gen-u-wine cowboy stock. The family encouraged home-style harmony music but young Reba was set to become a teacher until she performed the National Anthem at the National Rodeo in Oklahoma City where Red Steagall spotted her charisma and prowess. Thereafter her career trajectory is truly astonishing. Within two years she was calling the shots on her Mercury contract and making music that while reminiscent of Tanya Tucker and Tammy Wynette also allowed her punchy voice and character room to breathe. We pick up on her catalogue with the 1981 disc Heart to Heart. Recording with veteran Nashville producer Jerry Kennedy this well-regarded outing features the domestic drama 'Small Two-Bedroom Starter' and a cover of the doo-wop number 'Only You (And You Alone)'. Good as it was what followed became her breakthrough. 1982’s Unlimited provided her with a brace of number ones in 'Can’t Even Get The Blues' and 'You’re the First Time I’ve Thought About Leaving'. A lusher and more ambitious affair than anything she’d attempted to date the backing, from the likes of Charlie McCoy and Bobby Thompson, Weldon Myrick and Buddy Spicher (former Area Code 615 alumni) captured the authentic mood and enchanted radio stations. Behind the Scene was like the closing chapter in that phase. Another extremely playable disc (David Briggs provides exemplary piano work) and one worth seeking out. 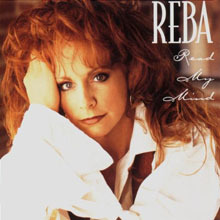 We pick Reba up again on Read My Mind (1994) her 20th album which includes her first Billboard Hot 100 smash 'Till You Love Me' and the brave 'She Thinks His Name Was John' which is probably the first country song to address the issue of AIDS from a woman’s perspective. Such was Reba’s fame by now that her best-selling autobiography and an NBC TV special helped fashion her image in the mass market. She remains mindful of her country heartland following but sees no reason why she shouldn’t use her talents across the broader spectrum. This album does just that. Since certified triple platinum, Read My Mind is McEntire on top of her game. As a useful adjunct to the discs mentioned above please seek out the fine Oklahoma Girl, a double-disc 40-track retrospective that corrals her earlier years and finds space for seven unreleased tracks. Starting Over (1995) is a firm fan’s favourite. 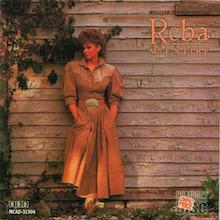 Something of a concept too, since it features cover versions of artists Reba had grown up listening to – Patti LaBelle, The Supremes, Linda Ronstadt and the inevitable Ms Parton. Such is the appeal of this album that it figured on both the country and pop charts. Check in here for fabulous versions of Jimmy Webb’s 'By The Time I Get To Phoenix', 'You’re No Good' and the Carole Bayer Sager/Burt Bacharach epic 'On My Own'. Sticking to her album a year output we turn attention to What If It’s You, as mature and exhilarating as anything in her canon. Enlisting a different breed of players – Terry Crisp, Larry Franklin, Biff Watson – Reba keeps her sound fresh again. Like many country artists who have earned the right to take a crack at the festive market McEntire is no exception. The Secret of Giving: A Christmas Collection is a warm hearth wonder and differs from the norm in that it’s mostly good new original material with only a couple of old chestnuts. Besides it’s hard to resist the perennial appeal of 'I Saw Mommy Kissing Santa Claus'. So Good Together (1999) is straight back to business. Another platinum cert, you may be familiar with the crossover hit 'What Do You Say'. It also made sense to team Reba now with the hit machine writer Diane Warren and their work together on the song 'I’ll Be' increased the McEntire fan base exponentially. You may not have heard her sterling take on Boz Scaggs’ 'We’re All Alone', a classic slab of smooth R&B given the appropriate country makeover. One of the essentials is in our 20th Century Masters series. Also known as The Christmas Collection: The Best of Reba (from 2003) this compiles her Yule discs in one handy package. Given that these are great standards it’s well worth hearing how Reba brings her authority to bear on such well-loved songs as Mel Torme’s 'The Christmas Song' and 'Silent Night'. Room To Breathe marks an entirely different approach with new material, a revivalist soul feel and the country qualities of older school performances. Noted sidemen include Dan Huff, Vince Gill (he duets on 'It Just Has To Be This Way'), Alison Krauss and the Nashville String Machine. It’s a lovely, varied disc that covers the waterfront and remains highly recommended. 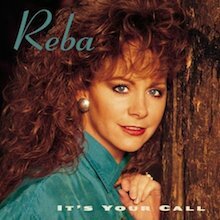 We bring our selection up to date with the compilation I’ll Be which was initially designed to correspond with one of Reba’ many visits to these shores where she is always guaranteed a warm reception. The lady’s impeccable credentials are emphasised here with her inclusion of the Beatles’ 'If I Fell', 'Talking In Your Sleep' and Bobby Bare’s 'Five Hundred Miles Away From Home'. All in all, a perfect introductory disc. Reba McEntire’s accomplishments show no signs of diminishing either, and since she is now Kelly Clarkson’s mother-in-law she remains a high profile country star with an appeal that is likely to increase. We’re certain you’ll find plenty here to entertain your ears. Reba’s a survivor for sure and since she’s constantly seeking out new musical challenges it’s a case of what will she do next? The average listener of Reba McEntire's first album will most likely have one of two minds about it. 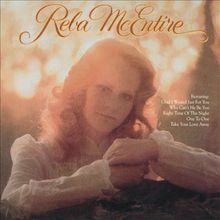 On the one hand, fans of McEntire's later recordings might reject this album on the grounds that it is more tradition-oriented and less contemporary-sounding than the material for which she is best known, while traditionalists might embrace it as the one Reba McEntire album to own. Whatever the listener's bias, this album has more to do with the early-'70s sounds of Tanya Tucker and Tammy Wynette than the contemporaneous pop-country hits of, say, Barbara Mandrell. Although such individual tracks as "Glad I Waited Just for You" and McEntire's version of "Right Time of the Night" hardly constitute hard country, her recording of Roger Miller's "Invitation to the Blues" is probably as close as she comes. Ironically, it is the very listeners who would likely dismiss any Reba McEntire album out of hand that might find this the most surprising and enjoyable, whereas only the most accepting fans of her later recordings will react so positively. This is a strong album that rewards exploration. Reba McEntire's gradually developing career marked another milestone with the honky tonk ballad "Today All Over Again," which was her first single to peak in the Top Five of the country charts. Mercury Records naturally included it on her next album, Heart to Heart, released as the single was on its way up, and that connection enabled the LP to be McEntire's first to reach the country album chart after her previous three albums had failed. The ten-song collection with a running time under 30 minutes (standard for country LPs) demonstrated that McEntire remained a promising, but not yet accomplished country artist. "Today All Over Again" was the most traditional sounding track, but producer Jerry Kennedy was able to take some stylistic risks with McEntire because her distinct Oklahoma accent and personable, throaty delivery made everything she sang sound country, no matter what arrangement was backing her. Thus, the string-filled "There Ain't No Love," essentially a soft pop ballad, seemed as authentically country as "How Does It Feel to Be Free," which McEntire sang with only a piano as accompaniment. And while she definitely put emotion into her voice, McEntire was able to give a relatively understated reading to the sad story-song "Small Two-Bedroom Starter" that prevented it from becoming overly sentimental. But all of this meant that the artist was triumphing over the material; most country artists, as non-writers, are at the mercy of what they or their producers can find from the publishing houses, and McEntire wasn't getting the pick of the best new songs in Nashville at this point in her career. No wonder that Mercury chose as the album's second single a cover of the Platters' 1955 pop hit "Only You (And You Alone)," going for something familiar over the mediocre new compositions. That the single rose into the Top 20 was an indication that country fans were starting to be interested in anything McEntire chose to record, which boded well for her future. 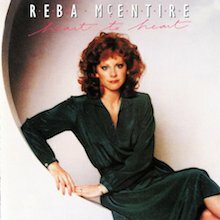 One of Reba's best Mercury albums, this yielded her first two number one country hits, Can't even get the blues no more and You're the first time I've thought about leaving. These are the last two songs but the eight ahead of them are of a universally high quality. The set begins with a series of excellent love songs -I'd say you, Everything I'll ever need, What do you know about heartache and Out of the blue. The tempo picks up on Over under and around. Perhaps the best song here is I'm not that lonely yet, a superb ballad that bluegrass singer Rhonda Vincent covered for her album, Timeless and true love. Reba shows that she can also do great covers with her excellent renditions of Whoever's watching (Gary Morris) and Old man river I've come to talk again (Mel McDaniel). Both Gary and Mel are among my favorite country singers of the eighties, but Reba's versions of these songs are just as good as the originals. I can understand why many think this is Reba's best original Mercury album. For me, it's a hard choice to make, as I love them all, though I'd probably choose Feel the fire if I were forced to choose. If you don't have any of Reba's early music, the double-CD Oklahoma girl is the best collection to have, but all her early albums are worth listening to - if you can find them. In the field of country music, where most artists are not also songwriters, there is a constant search among the Nashville publishing houses for that one song that will not only catapult a singer to the top of the charts, but also define a career. After a slow build lasting nearly a decade, Reba McEntire became an established country star in the mid-'80s, winning the Female Vocalist of the Year award from the Country Music Association in 1984 and again in 1985. But she had never had even a Top Ten LP on the country charts, and her successes seemed to vie with her failures in a back-and-forth pattern. She had turned to the new traditionalist style with her 1984 album My Kind of Country, and seemed to have hit on a theme of embodying the emotional conflicts of women with "Somebody Should Leave," a song from that disc that went to number one. But Have I Got a Deal for You in 1985 missed the mark. Whoever's in New England, which followed in early 1986, was a bull's-eye. The first reason was, of course, the title song, written by Kendal Franceschi and Quentin Powers, and sung by McEntire with the clenched emotion that the lyrics required. Against a stately ballad setting, the singer embodies the character of a Southern wife whose husband is, it seems to her, taking more business trips to Boston than he really needs to. Her surprising response is to tell him she thinks he's cheating on her, but that "when whoever's in New England's through with you," she will be waiting for him. The singer's sense of martyrdom is both unbearable and irresistible, and Franceschi and Powers achieve the added effect of casting the story in a South vs. North context. A mere 121 years since the end of the Civil War, that's a subtext that remained compelling to Southerners. "Whoever's in New England," which quickly soared to number one on the country singles charts (and later won McEntire her first Grammy for Best Female Country Vocal Performance), was reason enough for the album named after it to be considered a triumph. But producers McEntire and Jimmy Bowen surrounded it with other material of a similar ilk, female-oriented ballads like "You Can Take the Wings Off Me," "I'll Believe It When I Feel It," "I've Seen Better Days," "If You Only Knew," and "Don't Touch Me There" that explored women's emotional turmoil as they tried to navigate the troubled seas of romance. In "If You Only Knew," for example, a single woman counseled a married one that, however rocky things might get, having a husband was infinitely better than being alone as she was. And in "You Can Take the Wings Off Me," a woman submitted to seduction rather than continue to be a chaste angel, but not without a somewhat solemn and mournful feeling about it. (Either of these songs could have been a chart hit on its own if released as a single.) McEntire and Bowen threw in some up-tempo material for contrast, beginning with the frisky honky tonk number "I Can't Stop Now"; leading off the LP's side two with the cheery cheating song "Little Rock" (another number-one hit); and providing the requisite Western swing romp with "One Thin Dime." But it was the big ballads that were at the heart of Whoever's in New England, and they sold Reba McEntire to her female country constituency once and for all. The singer who'd never had a Top Ten album before went straight to number one with this one. McEntire possesses one of the most undeniably emotional voices in country music -- one well-phrased word in her Oklahoma accent can start hearts breaking. The overwhelming number of ballads on It's Your Call take maximum advantage of that talent, especially on "Straight from You" and "The Heart Won't Lie," a duet with labelmate Vince Gill. While It's Your Call may have the same intensity of emotion as the double-platinum For My Broken Heart, it lacks similar depth -- taken as a whole, these songs make McEntire sound like a victim, a role she no longer plays well. The ballads leave few places for McEntire's strength of character, and the bluesy "Take It Back" and "Go Down Easy" only serve as breaks in the despair. McEntire showed her best on For My Broken Heart; while she's not holding back here, only casual or partial listeners will be moved as much. This 1994 album, Read My Mind, is another wonderful offering of songs performed by the gifted country singer Reba McEntire. Half of the tunes on this album became hits. Many carry a deep emotional impact, with themes that move from a wife confronting a cheating husband in "I Won't Stand in Line" to lost love in "And Still" to a young woman dealing with AIDS while her friends and family face her nearing death in "She Thinks His Name Was John." There are also a couple of good everyday love ballads on this offering, and the fun and fast-paced song "Why Haven't I Heard From You." Mixed in with the expected country styling on this album you'll find a little soul, a little swing, and some pop, too. This is one of the few albums music lovers will find out there where almost every song is a good one, and worth repeated listening. Keep on Loving You is contemporary country legend Reba McEntire's debut recording on the semi-independent Valory Music Company label's Starstruck imprint. It's her first new studio outing since her comeback effort, Duets, and her mammoth triple-disc hits package that fulfilled her contract to MCA Nashville, her label home for nearly 20 years. Despite its release on an indie, the production and approach are anything but, with the album being produced by Tony Brown and Mark Bright. The cream of country music's current chart crop wrote its 13 songs; it is certainly a radio-friendly collection that is supposed to showcase McEntire's adaptability and that she's still "got it," and can still score in the contemporary marketplace. There's no doubt that will happen, from the title track, a midtempo ballad that is saturated in compressed guitars and Hammond B-3, big repetitive choruses, and a chorus of fiddles and backing vocals. McEntire's voice hasn't lost even a touch of its range and power; she's a belter who can hang with the best of them. The set opener (and its first single), "Strange," with its acoustic guitars, mandolin, and fiddle intros, is like something from the backyard until about 20 seconds in, when a wall of guitars à la John Rich arrives and her vocal spits out lyrics that tell of a woman who feels strange that she should be wrecked after a love affair, but she's fine. It feels more like Gretchen Wilson than Reba McEntire. "I Want a Cowboy" and "Pink Guitar" sound more like McEntire is being backed by the Charlie Daniels Band circa 1979 than her own touring unit. "She's Turning 50 Today" is a trademark McEntire-delivered ballad about a woman who has been abandoned by her husband and decides to leave the wreckage of her life behind. It's the kind of bittersweet power ballad that the singer is famous for, and is delivered with characteristic aplomb even as the production behind her tries its hardest to get in the way. The bottom line here is that Keep on Loving You may jar some longtime Reba fans on first listen, but despite the record's sound it's all her in this mix, and they will more than likely celebrate this. As far as the new fans this set clearly hopes to gain, it's got the right elements; if country music's finicky youth-obsessed radio and video machine can hear this set for what it is, listeners will connect in droves. Reba McEntire's Duets project is either the return of one of the biggest stars country music has ever seen, or an effort to try to regain some of that popularity now that another generation of Nashville musicians has claimed the radio, video, and sales spotlight. Duets is only the second album of new songs by McEntire to appear in the last eight years -- an eternity in Nashville (and being the star of a sitcom doesn't count for much). Her last, Room to Breathe, appeared almost four years ago and spawned the hit "I'm Gonna Take That Mountain," propelling the album to a number four position on the Billboard country chart and a brief stay at 25 in the pop chart. That said, a project like this, with so much hype and expense incurred behind and because of it, demands an artist with staying power and a legacy to fall back on, and she has it: for starts, thirty number one singles. As for Duets, there is no shortage of star power, and it's multi-generational in terms of the world of pop music. On one side are contemporary country superstars like Kelly Clarkson -- the album's first single, "Because of You," written when Clarkson was 16 years old, has blown up. Kenny Chesney, Rascal Flatts, Ronnie Dunn, Faith Hill, and LeAnn Rimes are also here. So are major, near-legendary talents like Trisha Yearwood and Vince Gill (it's odd to think of Gill as an elder statesman of country, but in a 30-year career that's what he is), who also have active, busy careers and hit the charts whenever they release material. Then there are the "others," those songwriters who do not fit the country mold but are welcome presences here: Carole King (one of the greatest songwriters ever) and Don Henley appear on two of the most successful tracks in the set. Finally, there's the rogue outsider who is simply a pop superstar: Justin Timberlake. (If you roll your eyes at what he's doing here, you're right: he had an inside connection since his business partner dates McEntire's daughter.) As for the quality of the tracks -- since most music biz projects like this crash and burn after a few weeks or upon getting trounced by critics -- this one is a mixed bag, but in a good way. McEntire's performance with Rimes on "When You Love Someone Like That" is stellar. The co-written duet between the flaming redheaded country diva and Ronnie Dunn, "Does the Wind Still Blow in Oklahoma?" is an honest to goodness country song, and works as much because of the high lonesome in Dunn's beautiful baritone as it does the headliner's act. "Because of You" may be the hit, but the song is simply a big, overblown power ballad with guitars compressed to the breaking point, sweeping strings, and enormous crashing cymbals -- think Jim Steinman and you get it. (Not that Tony Hit Man Brown's a whole lot different in his own genre, but this could have been a Meat Loaf reject from Bat out of Hell II). A similar problem plagues "Faith in Love" with Rascal Flatts. It's got what it takes for radio, no doubt about it, but it's a song everybody will be sick of sooner rather than later. Things get back on track with "She Can't Save Him," with Yearwood, who is simply a class act as a stylist, and a woman who never over-sings. It's a lilting piano ballad-turned-big number but Yearwood and McEntire are very suited to one another as singing partners. McEntire has great control, and Yearwood has the amazing ability to be a musical chameleon. It would have been lovely to have a Carole King-written number for the occasion of this duet. That said, however, the newly acquired graininess in King's amazing voice is a fine contrast on this pop-country song that rocks it up enough to stretch McEntire. "Every Other Weekend" with Chesney is somewhat underwhelming. Either of them could have pulled this one off alone (you can hear Chesney making this one truly believable), but together, there's a kind of distance in the voices that all of the strings in Brown's world couldn't make gel. Things work a whole lot better with Gill who, like Yearwood, can sing with anyone and allows himself to become whatever he's signing. As a result, both singers sound wonderful on "These Broken Hearts" and McEntire delivers one of those extremely moving performances she's built her well-deserved career on. It's for a Gill-Pete Wasner tune, and it was perhaps written for this session, but nonetheless, she just nails it, and in his support role as a singing partner, Gill rises to the level put forth by McEntire, and this is one of those broken love songs kissed by Steve Nathan's B-3 and the sweet backing vocals of Ashley Cleveland, Judson Spence, and Kim Keyes that can't miss with the strange bridge and chorus with its ghostly backdrop. "Sleeping with the Telephone" with Hill works just as you think it might: like a charm. Great singing, emotional performances and Dann Huff's addition to the production team of McEntire and Brown on this track saves it from the excess that might have plagued it. It feels natural, polished, and utterly true. The choruses are stirring enough to bring goose bumps. "The Only Promise That Remains," with Timberlake, was written with Matt Morris and is maybe a tad longer than it should be at over five minutes. But that's a small complaint. It's a solid song: acoustically based with some Celtic flavor, and written for the strengths in McEntire's voice (and Brown could learn something about using strings from Timberlake.) Here they don't overpower, they accent the song, and the cello fills are an excellent touch as are the dobro by Rob Ickes and upright bass by Glenn Worf. Timberlake contents himself to sing harmony rather than take solo verses; but that's more about serving the song than about not being able to sing. It's a welcome surprise here. Finally, Henley and McEntire close with "Break Each Other's Hearts Again." And although Henley can write, he doesn't do it well here, which is too bad. He's a great singer when he wants to be, especially as a harmonist. He's superb in that role, and he delivers his verses with conviction and a tawdry elegance that fits the song like a glove. McEntire can really sing with Henley. They were in the same room when it was recorded and the chemistry is right there. The band here should be mentioned, too, since Henley is in familiar company with a rhythm section of drummer Russ Kunkel and bassist Leland Sklar. McEntire's fans will eat this up, and perhaps those of Timberlake and Clarkson and Hill will, too. It's not a perfect record by any means, but it doesn't need to be; it simply has to deliver, and it does more often than not. Whether or not it turns a new generation of fans on to McEntire will remain to be seen, but this feels like anything but a cynical effort. It's sincere, it's polished, and it's full of good to great songs delivered in mostly interesting ways. 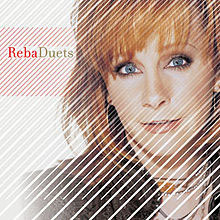 Reba #1s is a double-disc compilation album released in 2005 celebrating Reba McEntire's thirty years in the music industry. It is the first compilation of her career to include tracks from her early Mercury Records years along with her MCA recordings. The album features all of McEntire's solo number one hits spanning her career. The thirty-five-track compilation features twenty-two Billboard number-one hits, eleven non-Billboard number ones and two new tracks, "You're Gonna Be" (re-titled "You're Gonna Be (Always Loved by Me)" when released as a single) and "Love Needs a Holiday", which respectively reached 33 and 60 on the Hot Country Songs charts. Both of the new tracks were accompanied by videos. The album debuted and peaked at number four on the Billboard country album chart and number twelve on the Billboard 200. It has sold over 1 million copies and has been certified 2× Platinum by the RIAA because it is a double-disc compilation album. The album's total figure of 33 includes all major United States country music charts. Twenty-two of the 33 songs reached No. 1 on the Billboard Hot Country Songs chart, with the remainder having topped either the country charts of Radio & Records or Gavin Report. The compilation and the two new tracks were produced by McEntire and Buddy Cannon. The album debuted at number 3 on the Billboard country chart and number 12 on the Billboard 200 selling 110,000 copies in its first week. 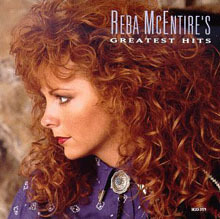 Greatest Hits is Reba McEntire's first compilation for MCA Records. It covers her hit singles from 1984, 1985 and 1986. No new material was recorded for the album. Greatest Hits peaked at No. 2 on the country album chart and at No. 134 on the Billboard 200. It has sold well over time and is currently certified three-times platinum by the RIAA.